• NEW Open functions: Advanced and complete features now FREE. 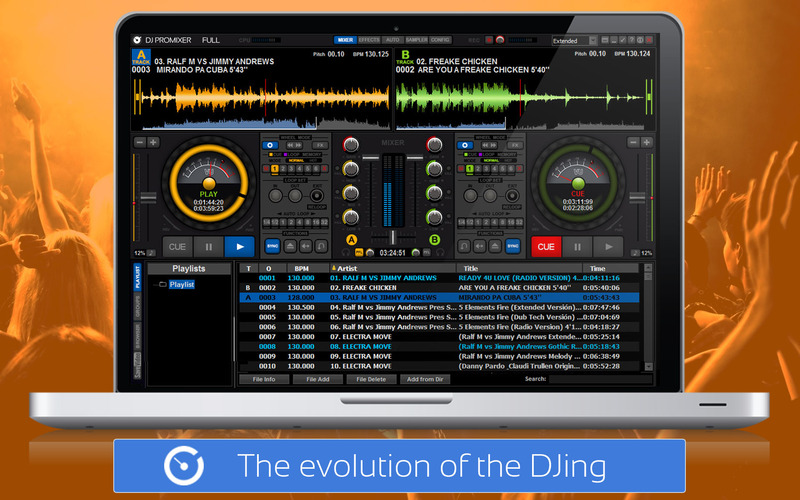 • NEW Design: Optimized interface designed by DJ’s. • NEW Windows 10 compatible. • NEW Improved System Performance: Now optimized for external controllers in single or dual mode. • Six memory banks CUE / Loop mode selectable Hot / Normal. • Central Panel Multifunction (Mixer, Effects, Sampler, Automix). • Advanced Tracklist up to three levels (Playlist, Groups/Subgroups, Explorer), with fast search. • Until three simultaneous effects (Echo, Flanger Wah). 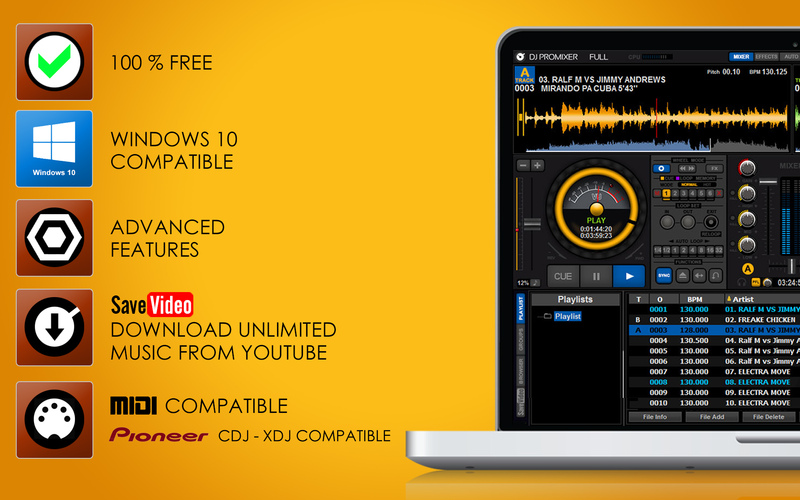 • Supports a large number of audio formats: MP3, MP2, MP1, OGG, WAV, AIFF, WMA, AAC, FLA.
• Six Samples per load. • Complete Audio Setup included ASIO support. Only 2 USB for a complete integration of your CDJ / XDJ How to set up your CDJ / XDJ?